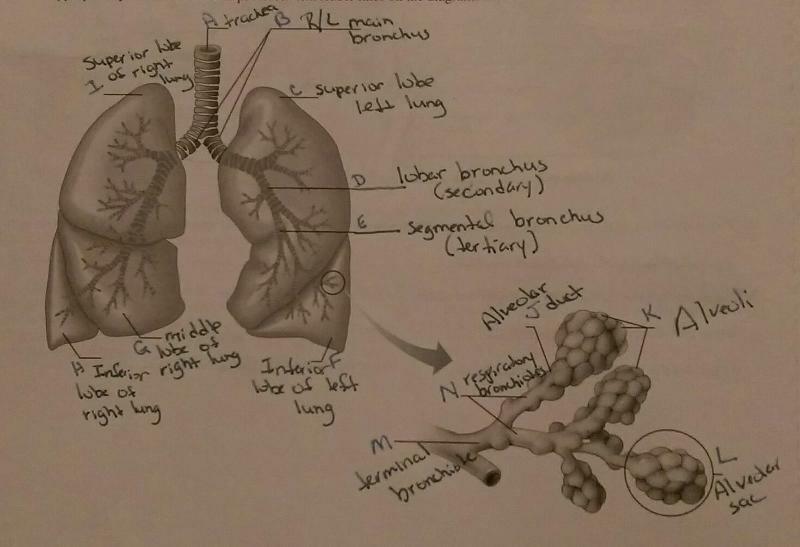 Four processes--pulmonary ventilation, external respiration, transport of respiratory gases, and internal respiration--must all occur in order for the respiratory system to function fully. 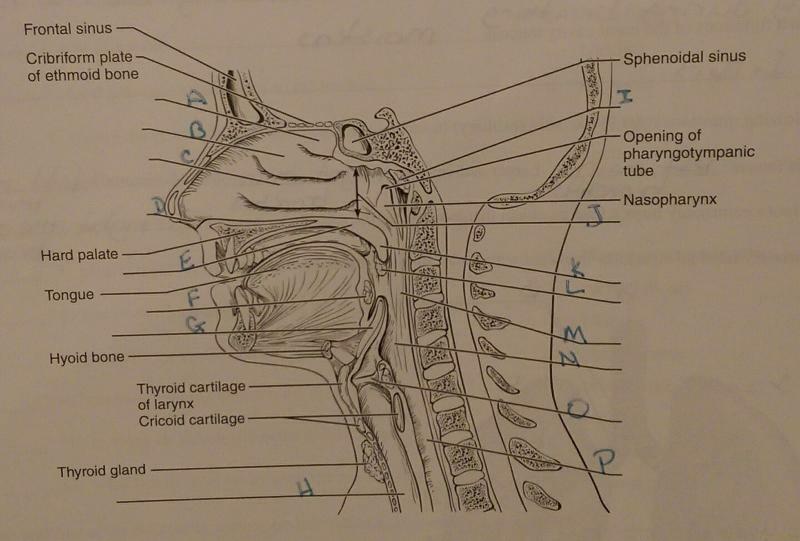 The thyroid cartilage/arytenoid cartilage is the largest and most prominent of the laryngeal cartilages. 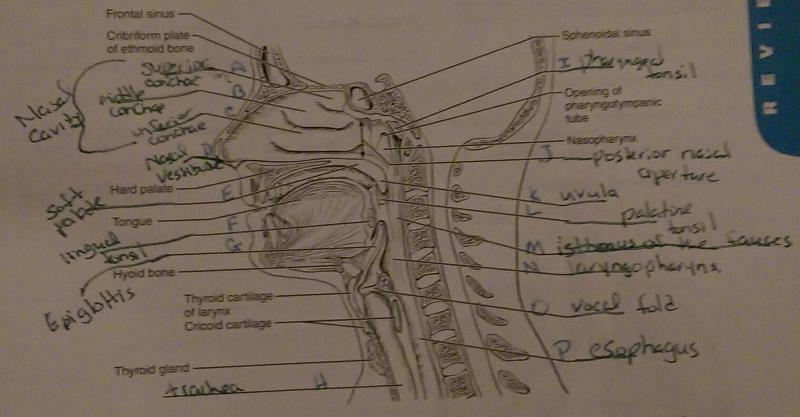 The epiglottis forms a lid over the larynx when we swallow food; it closes off the respiratory passageway to to incoming food or drink. The lining of the trachea is pseudostratified ciliated columnar epithelium/transitional epithelium, which propels dust articles, bacteria, and other debris away from the lungs. All but the smallest branches of the bronchial tree have cartilaginous reinforcements in their walls. ____, tiny balloonlike structures, are composed of a single thin layer of squamous epithelium. 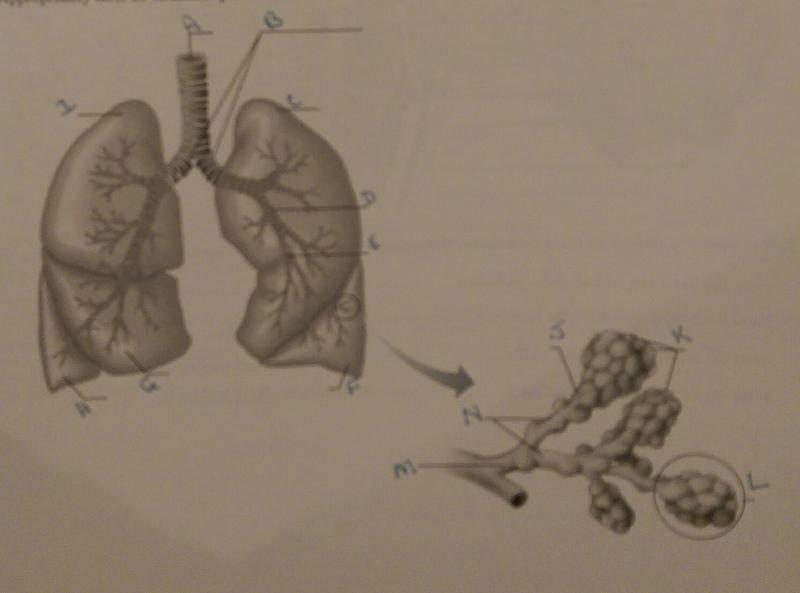 They are the main structural and functional units of the lung and the actual sites of gad exchange. Fissures divide the lungs into lobes, three on the right and two/three on the left.